There’s a large range of things to do in Noosa. 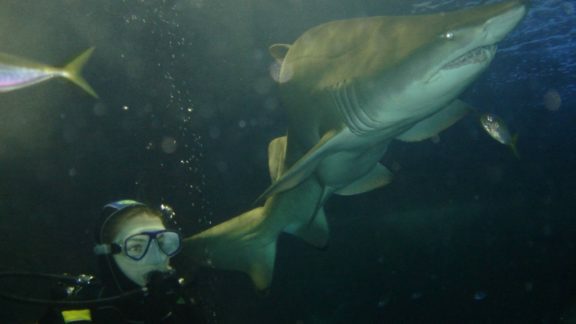 With a number of natural, man-made attractions and activities to suit all! 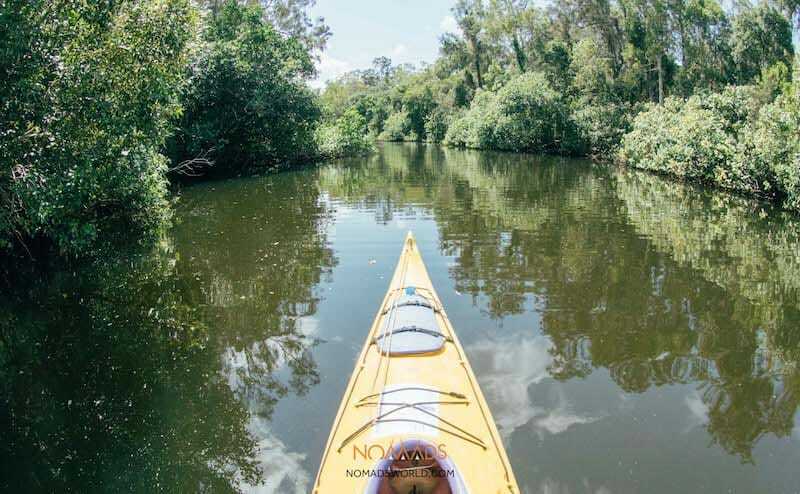 So here are 9 awesome things to do in Noosa – in no particular order! 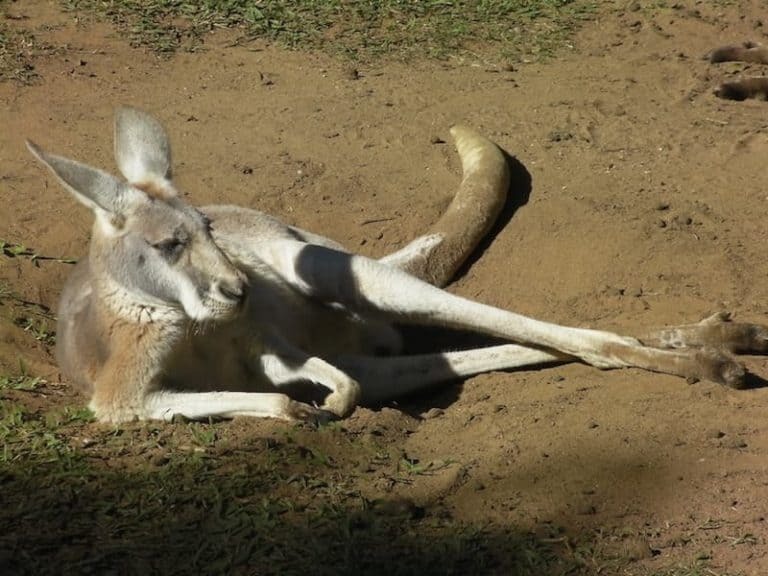 At Australia Zoo there’s so much to do and see that one day might not be quite enough to experience it all. One of the most famous things is of course the Crocoseum, made famous by Steve Irwin. However, apart from the croc shows why not pat a koala in the Koala walkthrough or check out the tigers in the Tiger Temple. Or feel like you’re actually in Africa and explore the African savannah which is home to Rhinos, Giraffes, Zebra and even some cheetahs. You may even have the chance to see Terri, Bindi and Robert Irwin around the zoo, but if not make sure you visit Bindi’s island, a tropical island where you’ll find freely roaming animals such as lemurs and giant tortoises… Australia Zoo is definitely a place not to be missed! Only a short walk from Noosa Main Beach you’ll find this incredible national park. There are loads of walking trails that are completely stunning and also a few coves and smaller beaches throughout the park that are perfect for surfing and swimming. You may even spot a Koala sleeping in the trees. And all this is FREE! The Ettamogah Pub is an aussie icon known for being the pub Slim Dusty sang about as the pub with no beer. No longer known as The Ettamogah pub it’s still located at Aussie World and worth a visit. Aussie World itself is a theme park with loads of rides and attractions. A great day out for everyone, not just kids! 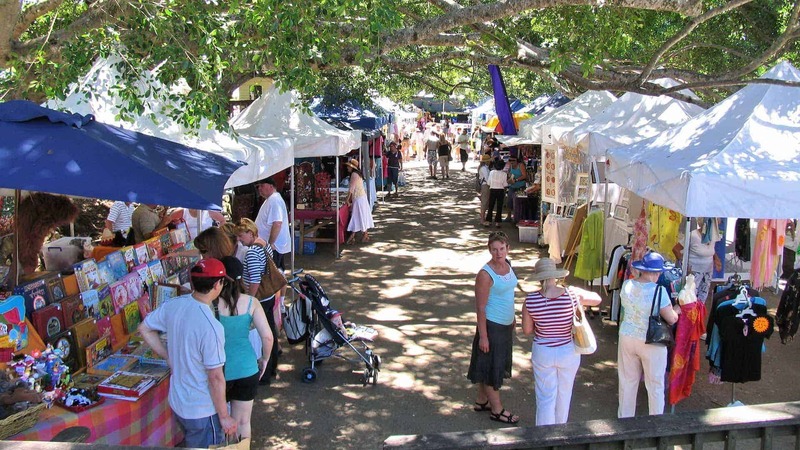 Sunday: Noosa Farmers Market (6am to 12pm), Noosa Marina Markets (8am to 2pm), Peregian Markets (1st and 3rd Sunday every month between 7am and 12.30pm). ‘Noosa Horse Riding‘ offer rides for different levels of experience and their trips depart daily. It’s a good opportunity to ride along the Lake and absorb the natural splendour and serenity of Lake Weyba. The area is only accessible by walking or horse riding so it’s well worth doing this. Another must try activity is surfing, there’s a reason a massive surf festival is held annually in Noosa! The main beach and river are pristine places to head out. 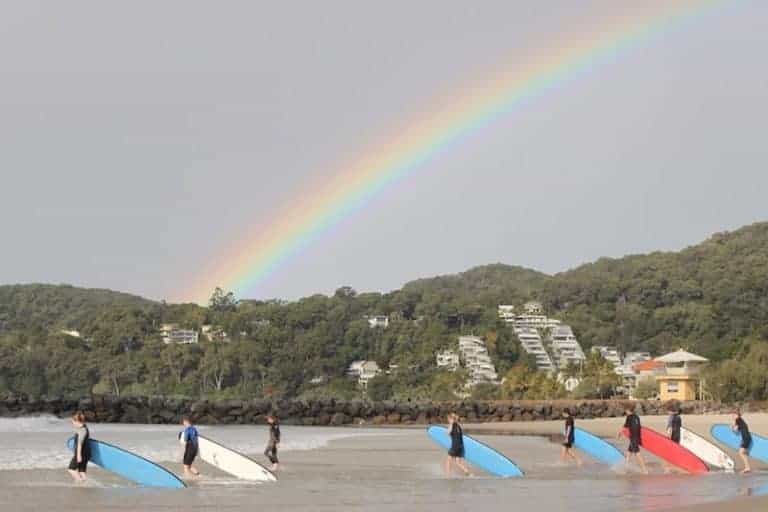 For surfing in Noosa you must go with ‘Noosa Learn to Surf’, the owner is an ex. 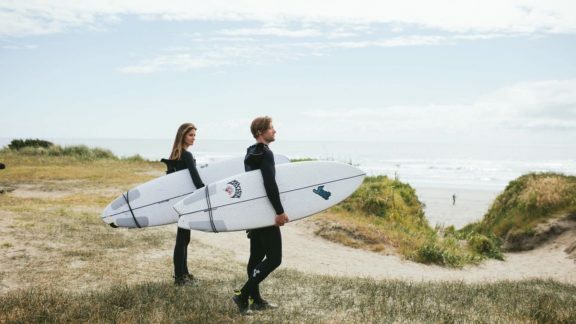 World Champion Surfer and this is the best opportunity to become a pro yourself. And if you’re not into surfing, then go out kayaking! ‘Learn to Surf’ have Kayaks as well as surfboards which you can hire from them to go down the river. Or you can go kayaking with the Discovery Group or Kanu Kapers to see the everglades. This is perfect if you want to see some wildlife, including turtles. It’s very relaxing, if the water is going in the right direction!! Either go on a biking adventure with Bike on Australia (recommended!) 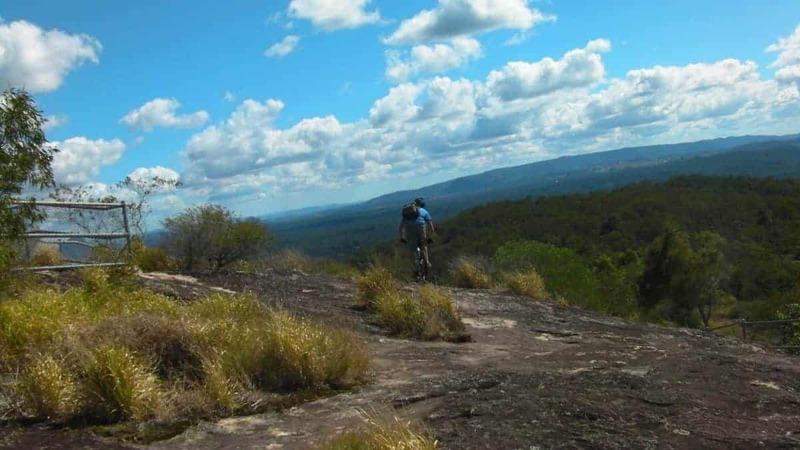 or hire a Mountain bike from Nomads Noosa and explore the area. Set off for the day on one of the many trails around town and explore areas you can only see if you are on a bike! Between Noosa heads and Coolum is about 20kms of beautiful east coast. 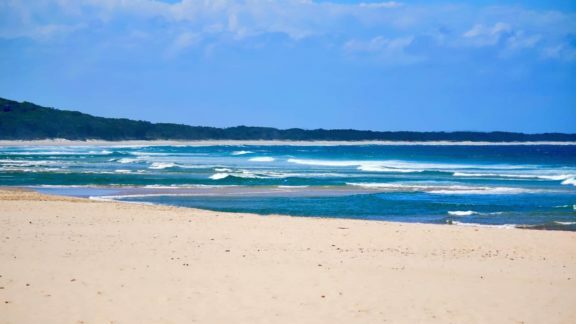 One of my absolute favourite things to do in Noosa is Fraser Island. Nomads Fraser Island tours depart from Noosa and you just can’t miss out on Fraser Island while visiting Australia… The best and largest Island in Queensland. Loads of wildlife, dingo’s and spectacular places to visit, like: Lake Mckenzie, Lake Wabby, Eli Creek, The Champagne Pools and the Maheno Wreck. 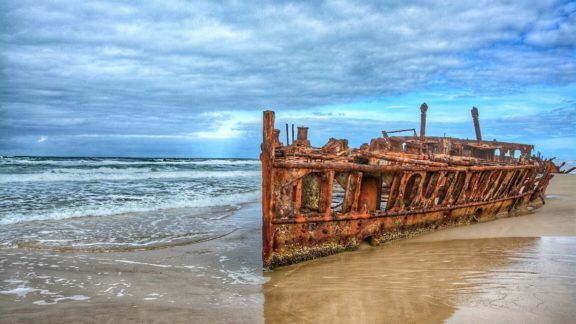 The Maheno Shipwreck was built in 1905 as a luxury passenger ship and in 1935 it was caught in a strong cyclone, drifted ashore and beached itself on Fraser Island. For more inspiration why not check out 20 things to do in Noosa for under $20. 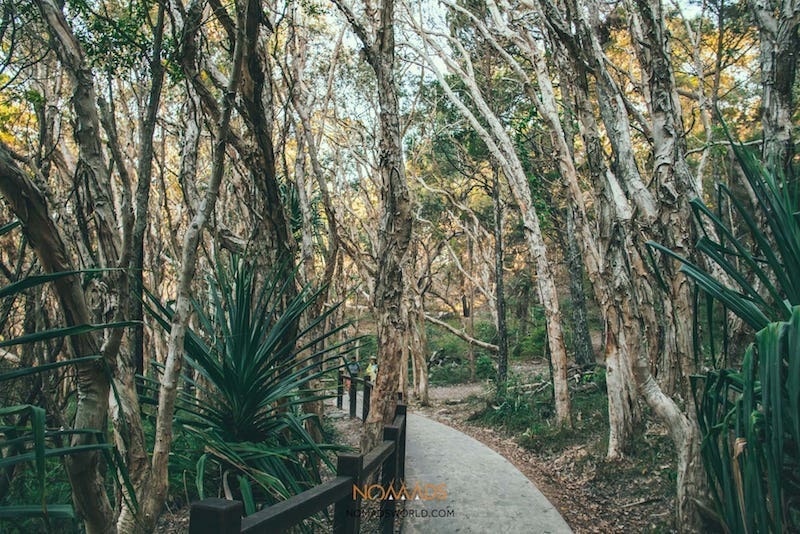 Book your accommodation at Nomads Noosa.